Cheri O'Connell with daughter Tara and son Sean. PREMIER Denis Napthine says he supports the decision of the medical administration not to legalise medicinal marijuana, even after it has been revealed it saved a young girl's life. Victorian mum Cheri O'Connell spoke out about the benefits of liquid marijuana, which she says saved her epileptic daughter who was only given months to live. "These issues in terms of approving medications are issues for the Therapeutic Goods Administration under the Federal Government," Dr Napthine said. "They base their decisions on the best medical advice and science. That's the way these decisions ought to be based and I support that process." 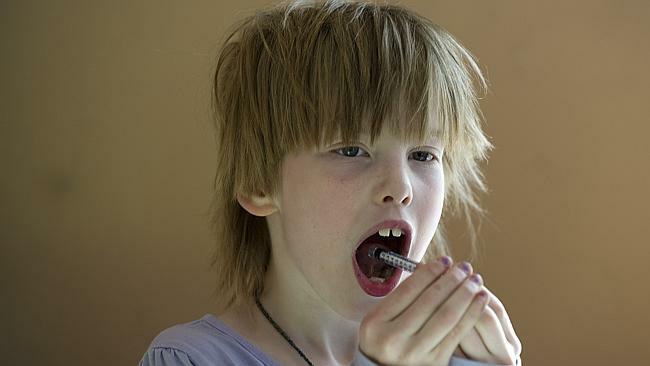 Doctors at one of Victoria's leading hospitals have acknowledged the "remarkable improvements" in the girl's condition one year after she started taking the drug. But Health Minister David Davis has warned families not to use medicinal marijuana, saying it remains illegal in Victoria and that the Government "does not intend to change this legislation". 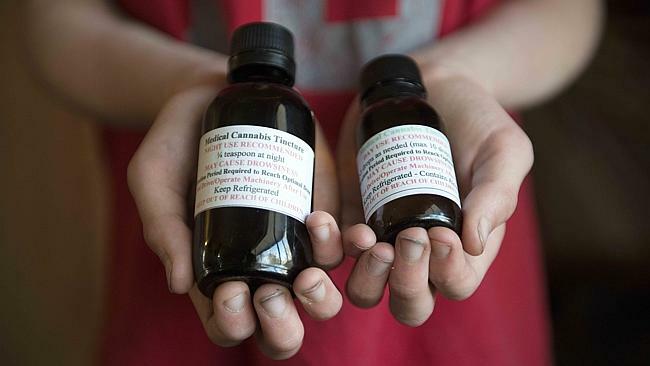 three, are taking daily doses of medicinal marijuana - in some cases administered by teachers - as desperate parents turn their back on pharmaceutical drugs. Cheri O'Connell gives her daughter Tara a liquid form of medicinal marijuana known as THC-A - which is posted to her in the mail - to treat her severe epilepsy. Tara before her treatment with the medicinal marijuana. Ms O'Connell's claims of her daughter's miracle recovery - backed by Victoria's peak medical body - have fuelled calls for local clinical trials to test the effectiveness of medicinal marijuana. "She was dying, she could barely walk or talk, was unable to toilet herself and slept a similar cycle to a newborn," Ms O'Connell said. "We had basically been told that there was not too much more we could do, just to take her home and to love her and maybe if you are lucky she'll get to nine. "We didn't see her having a future at all," Ms O'Connell said. "Now, well she is never going to be the kid that holds a job and goes off and does everything because it's too late, the damage has been done." Tara required a wheelchair, struggled to walk and had limited speech. But in January last year, her desperate parents started her on a cannabis mix known as a tincture, after a cocktail of prescribed medications left her heavily sedated and failed to stop the seizures. In developments that have surprised doctors, one year on, Tara is a bubbly eight-year-old and her wheelchair is collecting dust in the corner of the family's home in central Victoria. 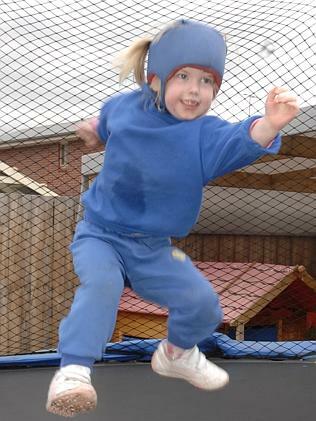 A recent neuropsychological assessment report by a leading doctor at Austin Health said Tara's overall cognitive performances were "significantly improved on those documented 12 months ago." The medicinal cannabis used to treat Tara and Sean. "Since commencing medical cannabis (together with the cessation of her seizures), there is a convincing clinical history of improvements in all facets of her presentation as reported by her mother," senior clinical neuropsychologist Dr Silvana Micallef wrote. An increased appetite and fatigue were the only recorded side-effects. The medical-grade marijuana, is administered orally through drops under the tongue and manufactured to be low in THC, the compound that produces a "high." The O'Connells have also started son Sean, 11 - who has a less severe form of epilepsy - on liquid cannabis. Ms O'Connell said her son could barely write before the drug, now he is seizure free and is a budding artist. She is calling on the state government to fund research into the drug which she claims has saved her daughter's life and is being used by at least 70 children across Australia. The Sunday Herald Sun understands the liquid cannabis is administered to a number of Victorian students by school staff. A spokesman from the Department of Education, Stuart Teather, refused to comment on any specific case citing student privacy. Victoria's peak medical body has backed the call for further research into medicinal cannabis. AMA Victoria vice-president Dr Tony Bartone said cannabis was being used legally for medical purposes in places such as Canada, the USA, the UK and Germany. Tara had to be protectively dressed before the treatment. "There is a growing body of evidence on cannabis as an effective treatment for some types of chronic pain, the control of muscle spasticity, some forms of nausea and as an appetite-stimulant in patients with weight loss due to cancer or HIV," Dr Bartone said. He said the AMA supported more research, particularly into the administration of medicinal cannabis, "as smoking or ingesting a crude plant product is harmful." Epilepsy Australia general manager of Client Services, Wayne Pfeiffer also backed a call for "an effective and controlled trial". "Some families have asked about it, but as it is illegal we can't really recommend it but there is a growing interest," Mr Pfeiffer said. "About 70 per cent of people get control of seizures through medications, so for these remaining 30 per cent of people they are really hopeful of any new drugs." Kay McNeice, spokeswoman for the federal Health Department, said: "T he manufacture, possession, sale or use of any form of cannabis is prohibited under state and territory drugs and poisons legislation. "These controls are in place for public health and safety to ensure, that all care is taken to prevent misuse of substances which are deemed harmful and for which there is no approved medicinal use." ANY parent will do whatever it takes to make a sick child better. For the O'Connell family, that meant breaking the law - or losing their daughter. 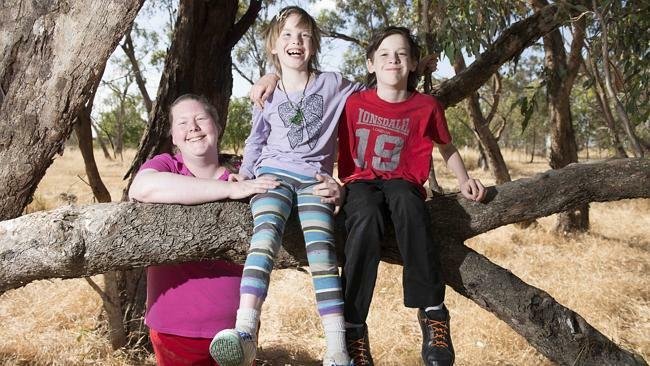 And after years of visiting doctors, using conventional medication and suffering heartbreak, the O'Connells say one of the last options left was the controversial use of medicinal cannabis to try to give Tara any future. The eight-year-old suffers from a severe form of epilepsy known as Dravet syndrome, and had been seriously ill all her life. Paramedics had even warned her parents they might not be able to resuscitate Tara next time, after four close calls. Tara could barely walk or talk and she slept as much as a newborn. 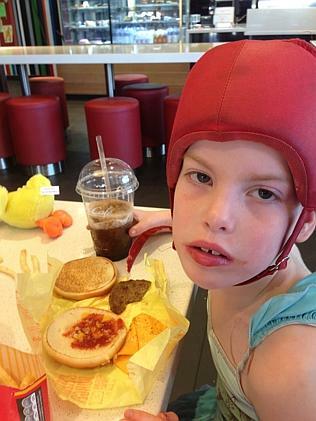 She endured more than 20,000 seizures every year, and it was taking its toll on her tiny body. Her condition left Cheri and partner David, and Tara's siblings Sean and Jasmine, exhausted and fearing for the future. Running out of options, by chance, another family who had lost a similar battle told the O'Connells about medicinal cannabis. "They didn't get to try the drug," Cheri said. "She knew we didn't have long to go with Tara, we had nothing to lose. The side-­effect of not giving it to her was death. We have now passed the 12-month mark and she's healthier than ever." Cheri said they knew the legal risks around the drug. ''We just thought, 'What else do they want us to do?' It's that or our kid dies,'' she said. One year on, Tara is now seizure-free, walking, running and even dancing. "We didn't see her having a future at all," Cheri said. "Now, well she is never going to be the kid that holds a job and goes off and does everything because it's too late, the damage has been done. "But I can now see us being able to put a unit here and being able to live semi-independently. Before, that was never going to happen." Across Australia a secret network of parents is using social media to share their experiences of medicinal cannabis for their sick kids. One mum, from Mernda in Melbourne's outer north, said her three-year-old son had shown dramatic improvements since taking it. Her son had meningitis as a baby and is intellectually and physically disabled. "We were told he'd be lucky to make it to two years old," she said. "We hesitated for 18 months. But after his first dose, within 15 minutes he was tracking things with his eyes for the first time." She said the law needed to be changed so parents could legally access the drug. "We are anti-drugs," she said. "We feel like we are breaking the law, but if we didn't do it when we did, we wouldn't have him now." In South Australia, a mother-of-two said her eight-year-old daughter was taking eight pharmaceutical medications before the family sourced the medicinal marijuana from interstate. "I got to the point where we had nothing to lose. She was seizure-free within a day, where she would previously have two to three a day," the woman said. Medicinal cannabis is legal in Canada, Austria, the Netherlands, Sweden, Spain, Israel, Italy and in some states of the US.